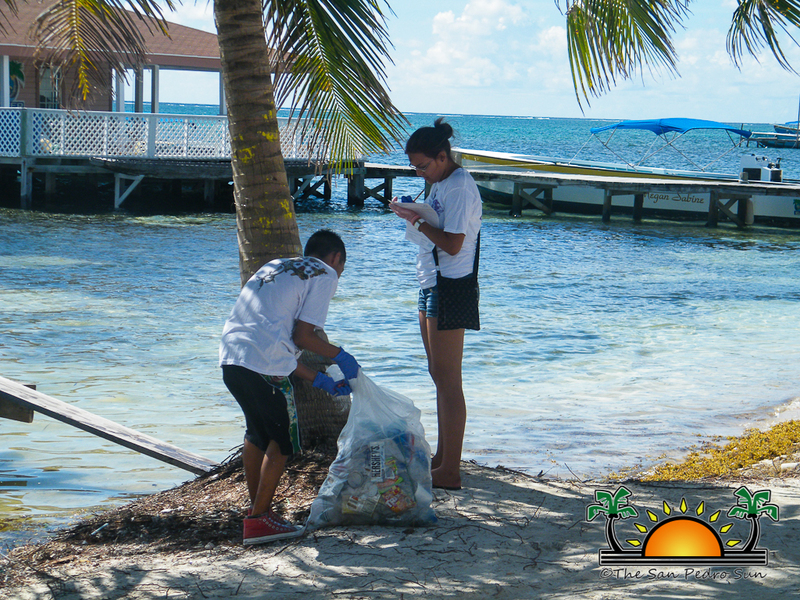 Oceana in Belize teamed up with several organizations countrywide in joining the world in celebrating International Cleanup Day. 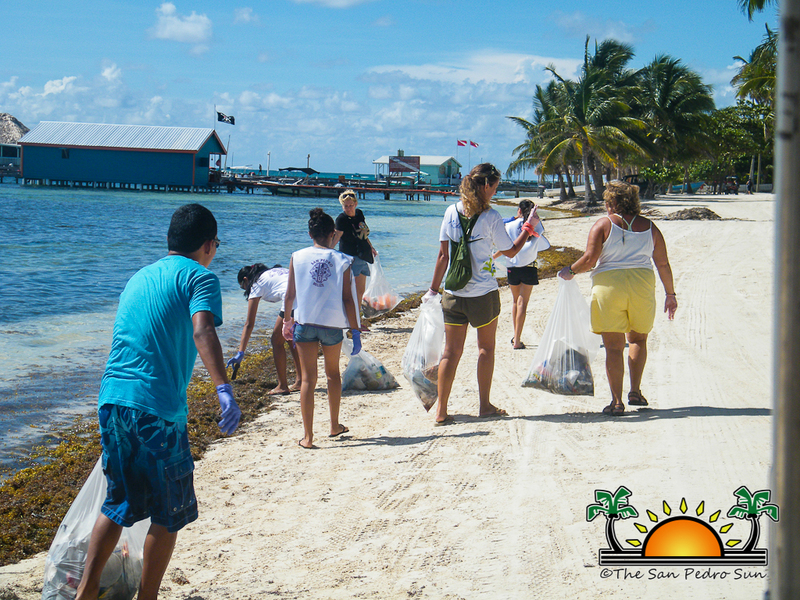 On Ambergris Caye, The San Pedro Sun collaborated with Oceana to spearhead the event on the island along with the support of a handful of island residents and Leos Club members. 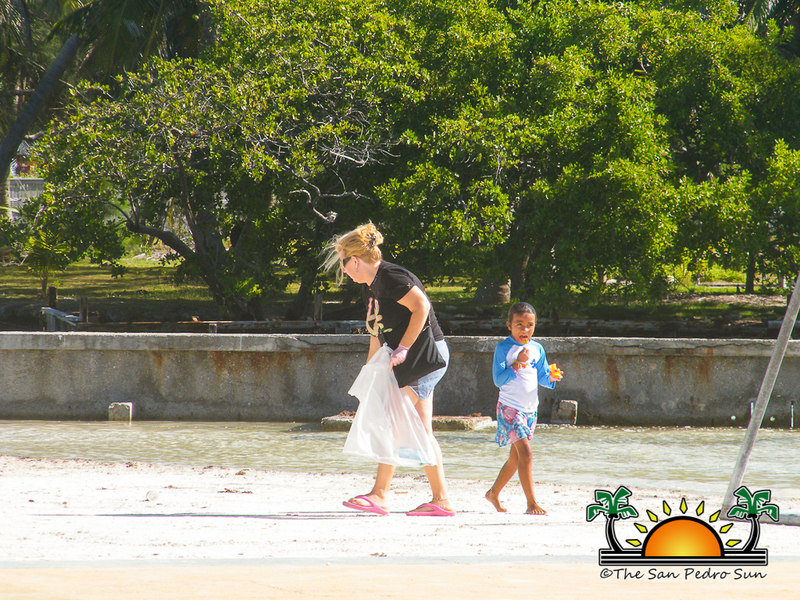 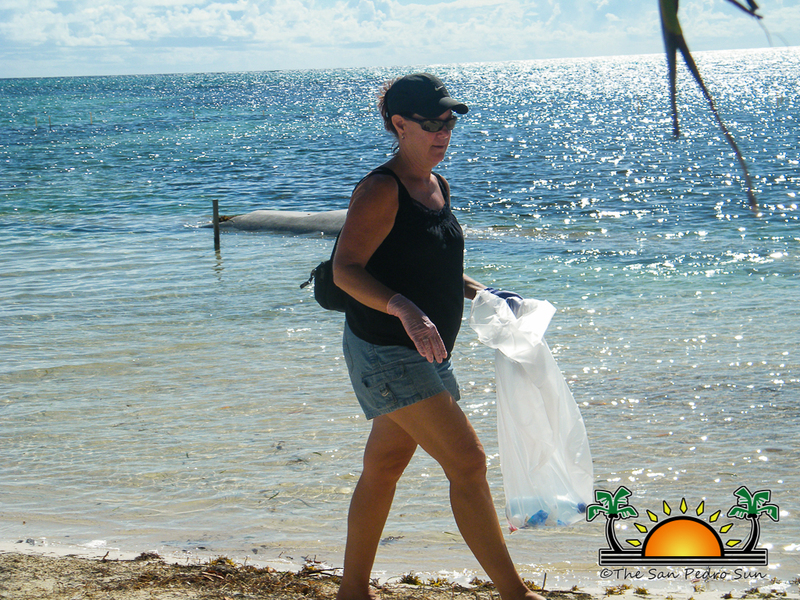 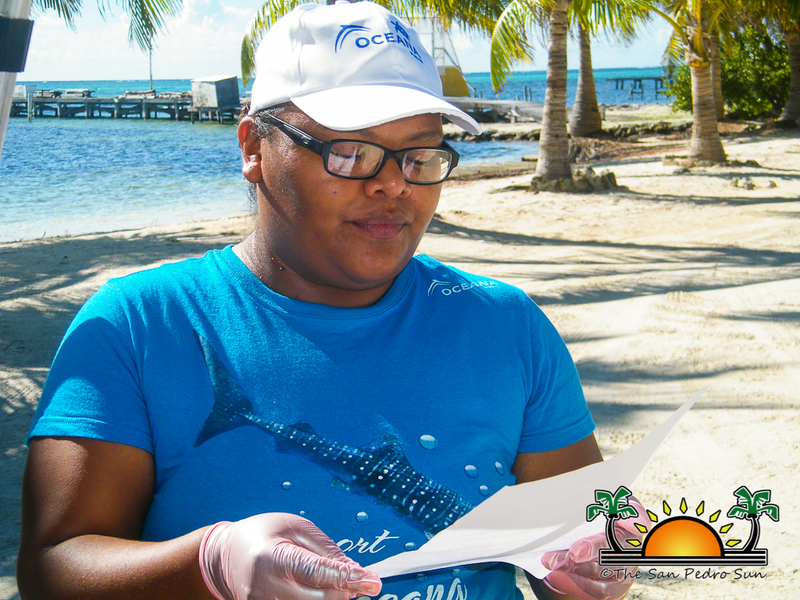 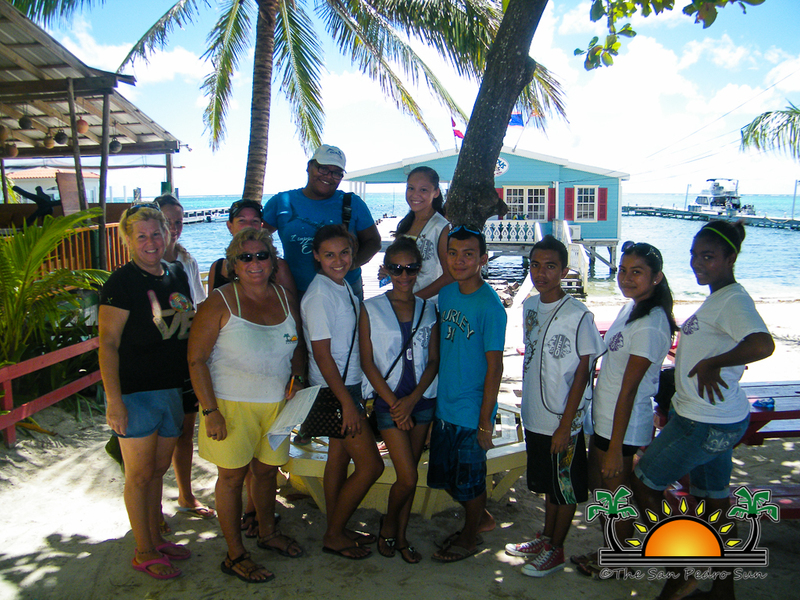 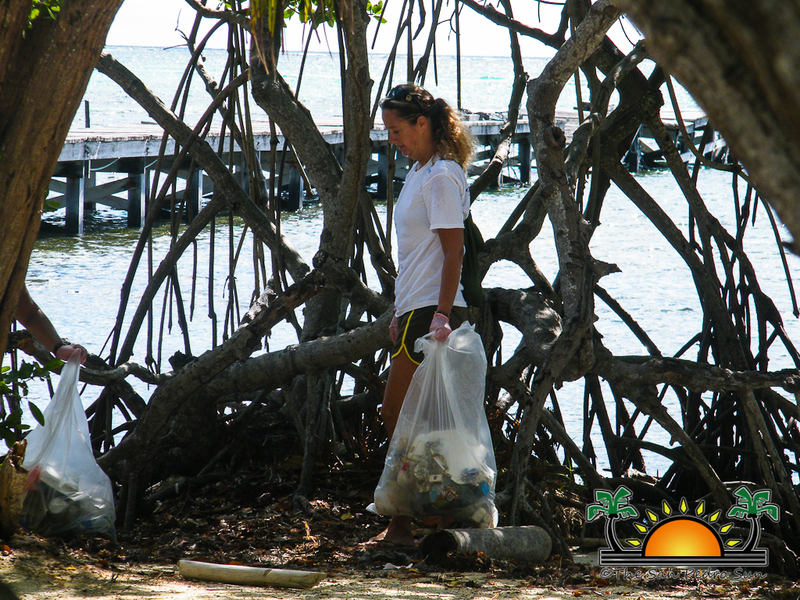 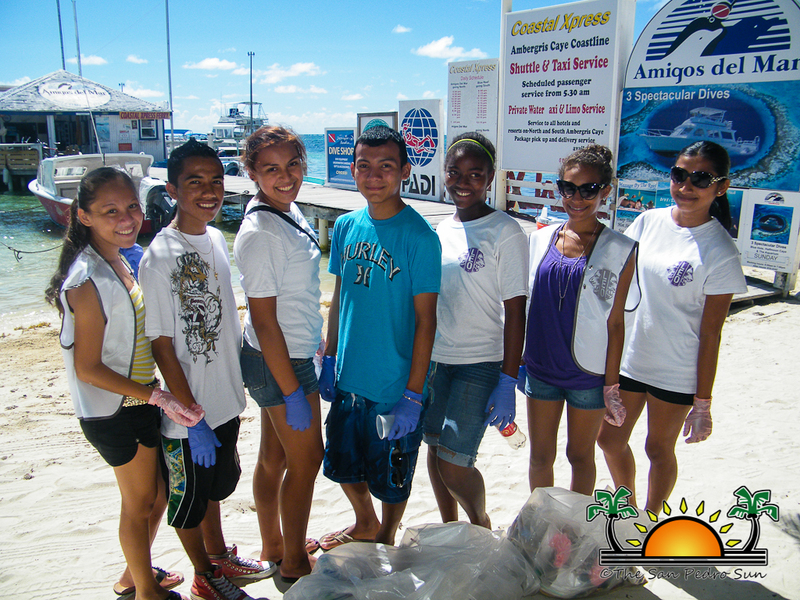 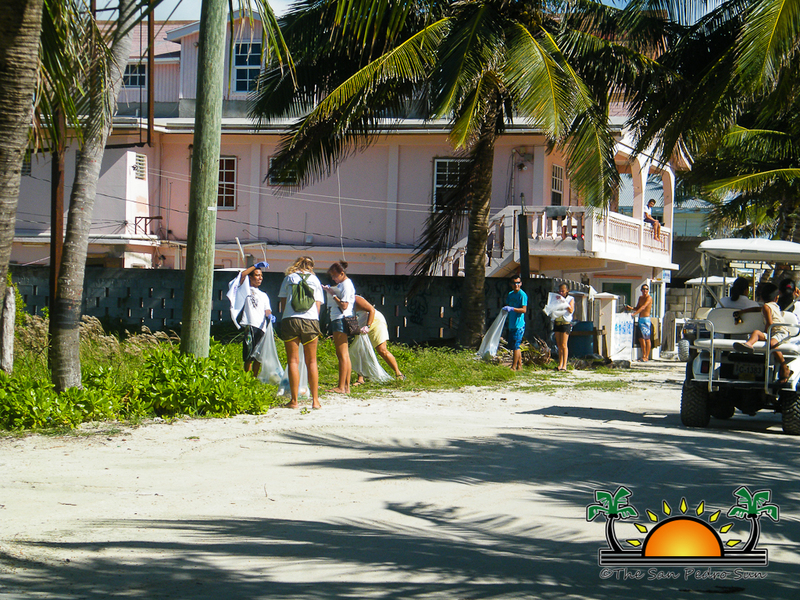 A group of 13 gathered to clean two miles of beach along one of Belize’s prime tourism destination, San Pedro Town. 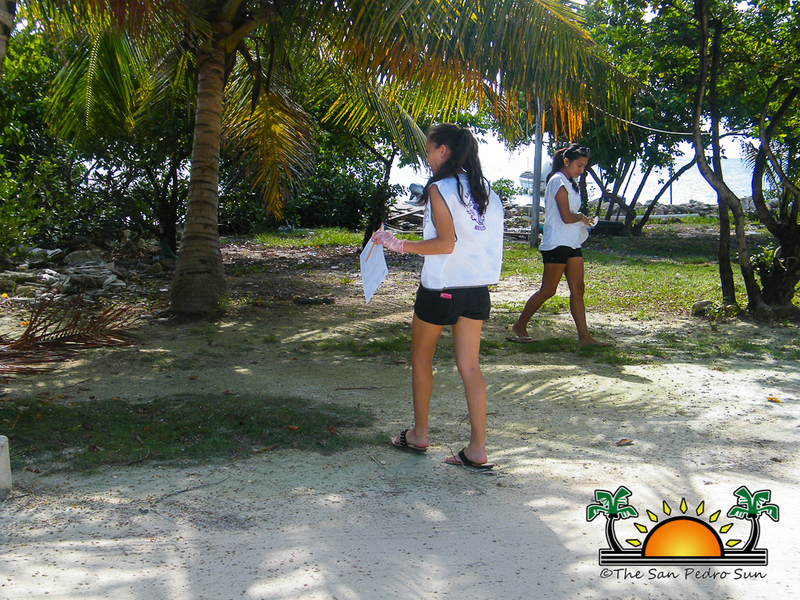 Starting at 8:30AM from the Boca del Rio Park, the group slowly progressed southward to end at the Esmeralda Park near the town’s library. 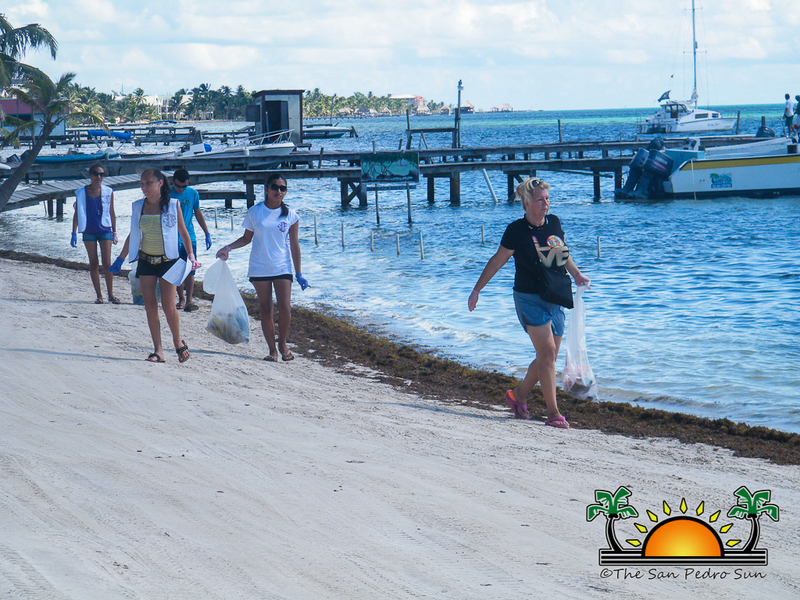 The two mile journey took about two and a half hours to cleanup. 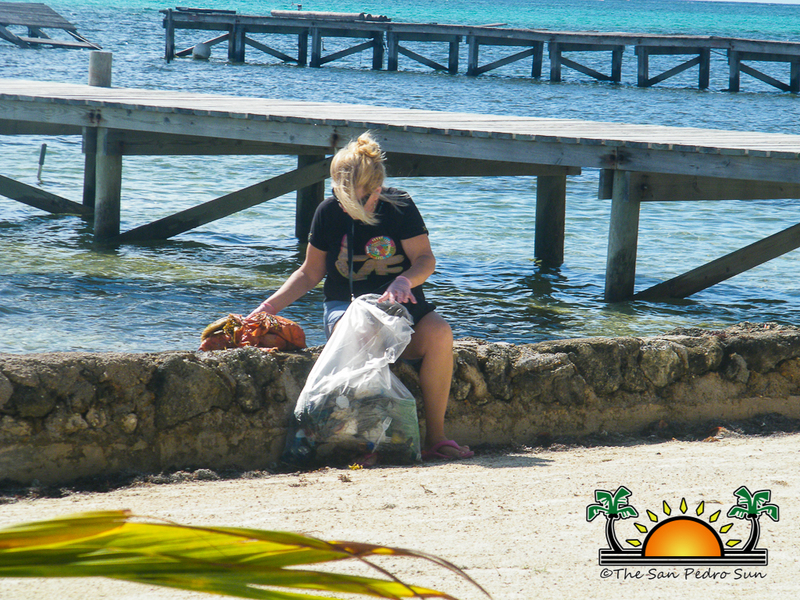 Under the heat of the early mid-morning sun, the group cleaned the beach of 24 bags of garbage totaling some 340 pounds. 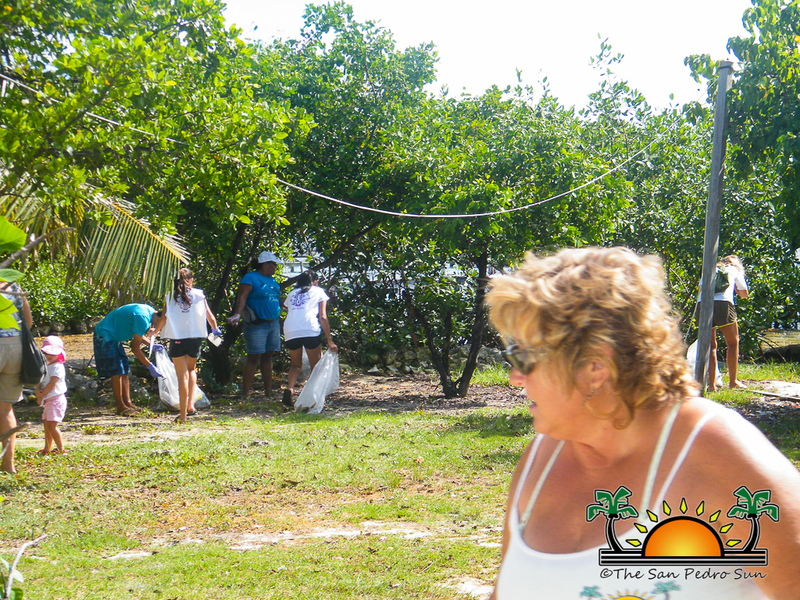 The group removed all sorts of garbage, mostly litter caused by human activities. 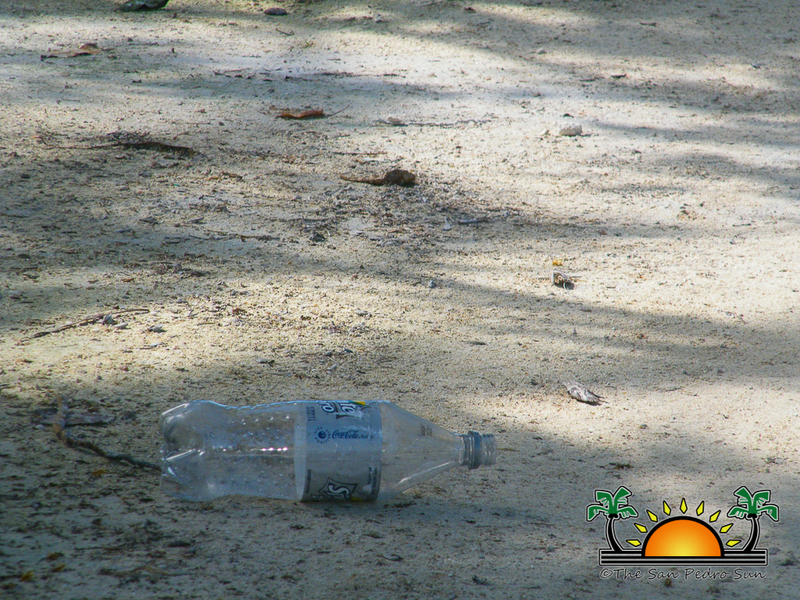 On top of the list of garbage were a large amount of beverage caps and cigarette butts. 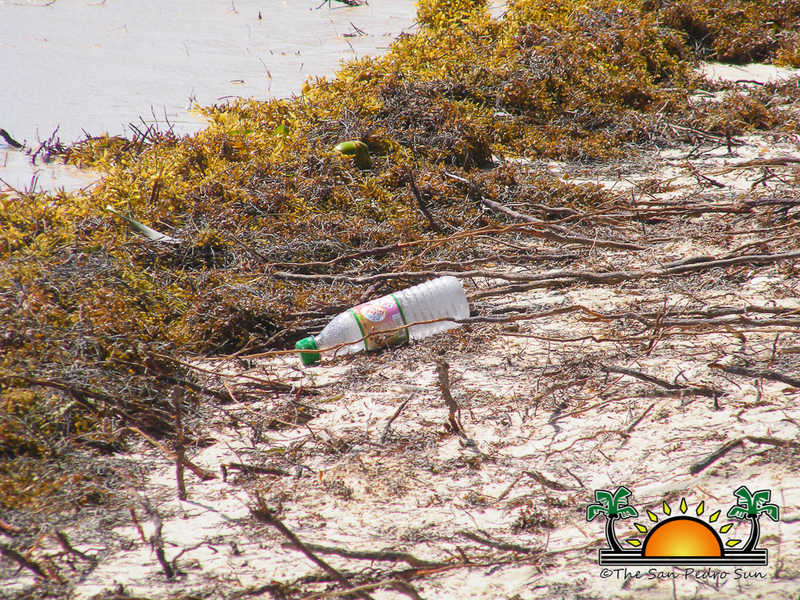 Similarly substantial were the paper and plastic bags as well as food wrappers, straws, foams and beverage bottles which people throw away while enjoying the beach. 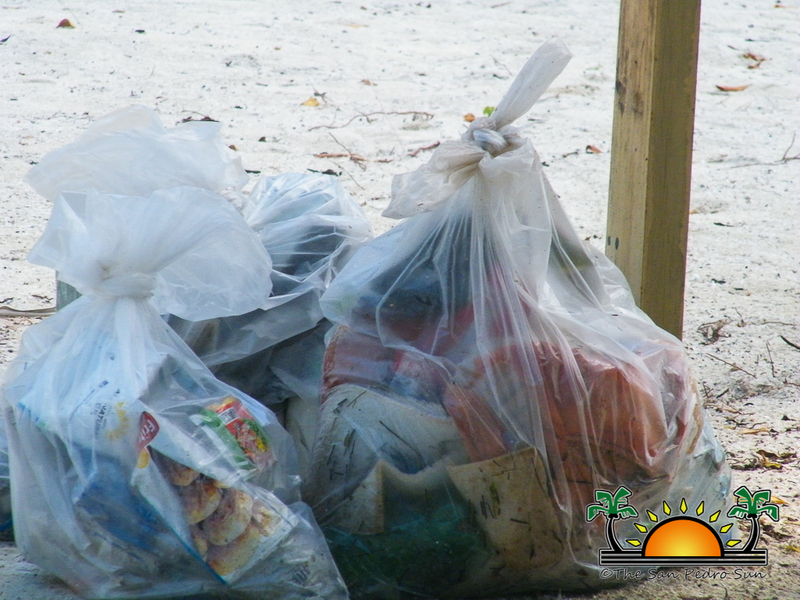 Once the garbage was bagged, it was left at various stop points and the San Pedro Town Council took on the responsibility of transporting it to the municipal dump. 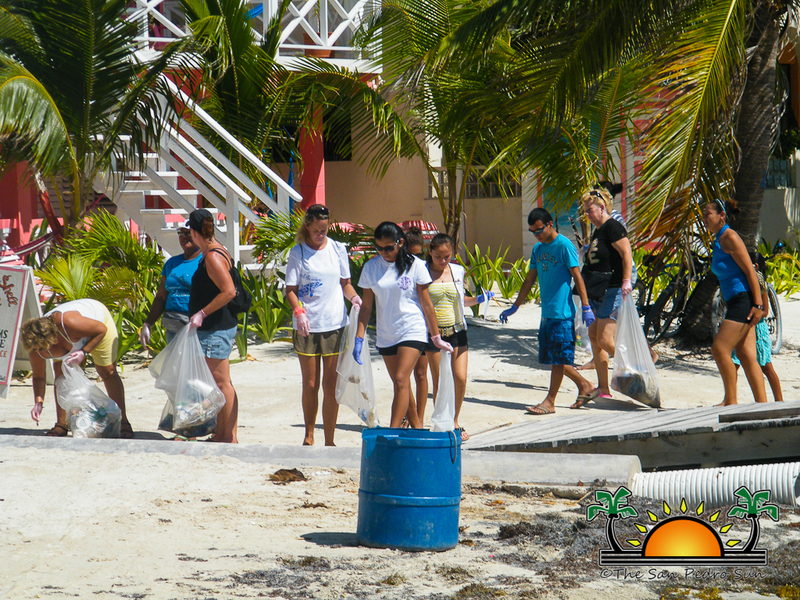 The group of 13 was provided with juice by Amigos del Mar Dive Shop, who was mindful in noticing the effort and importance of cleaning up the beach. 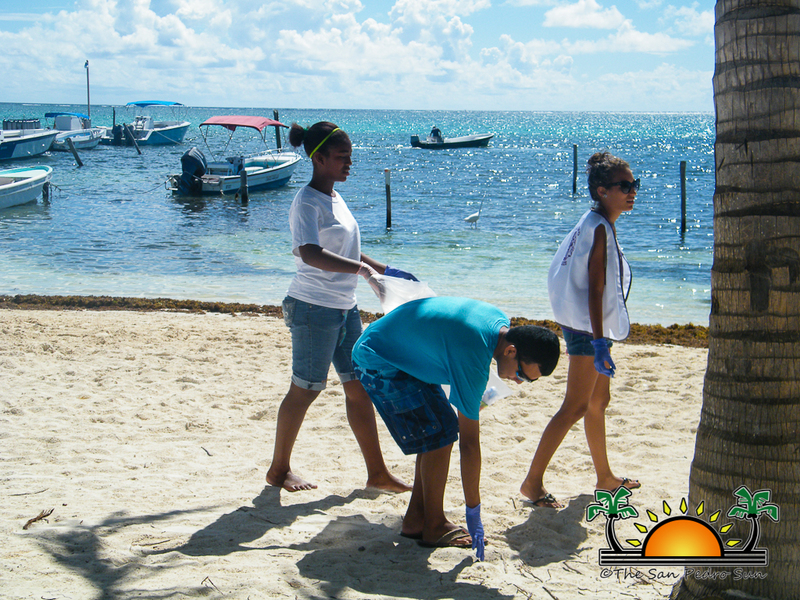 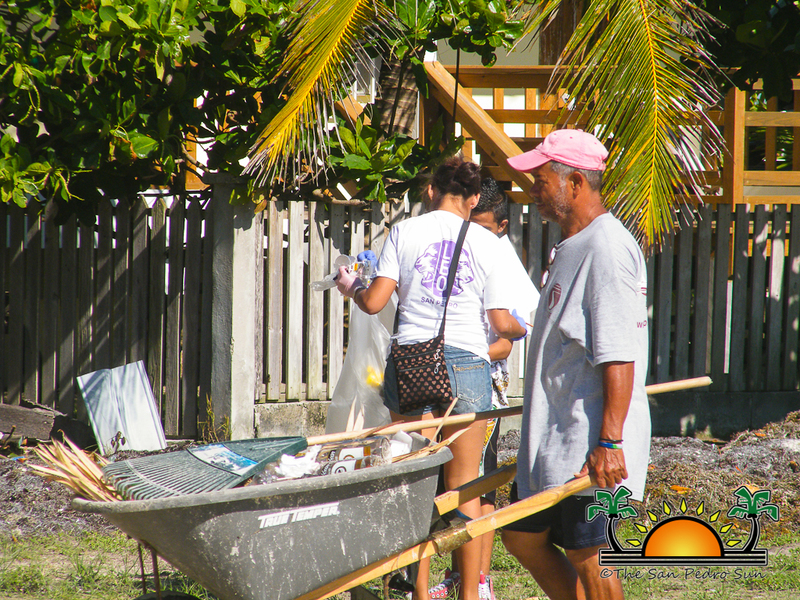 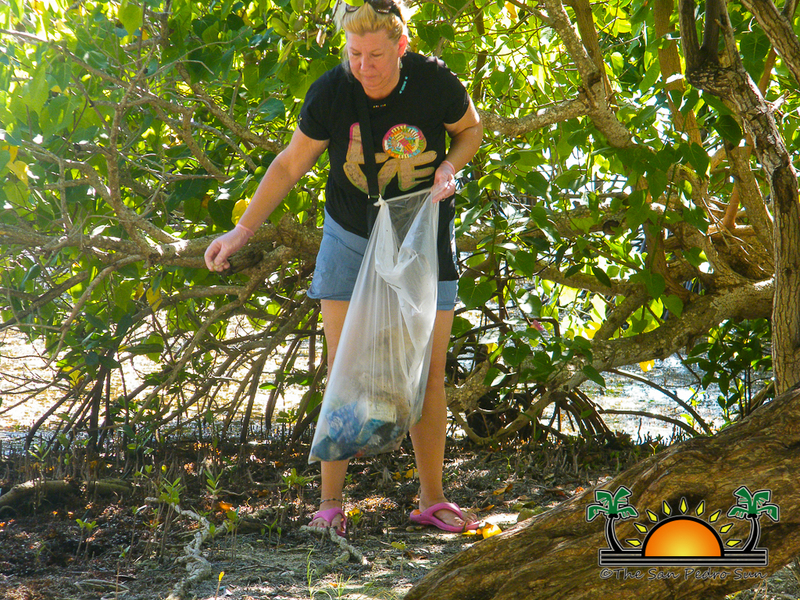 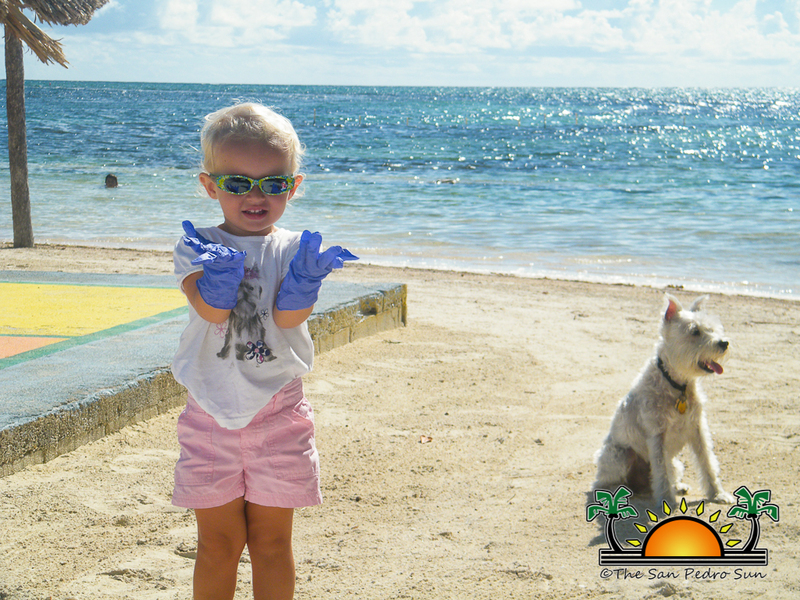 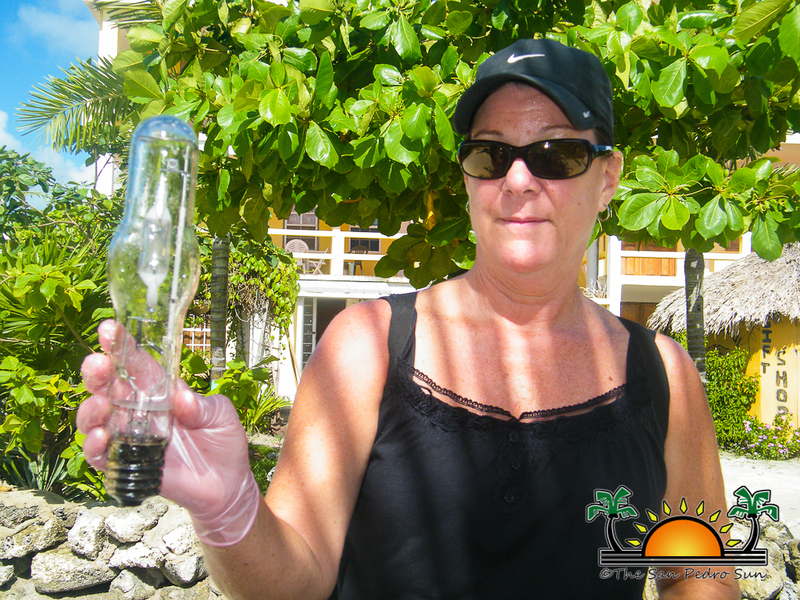 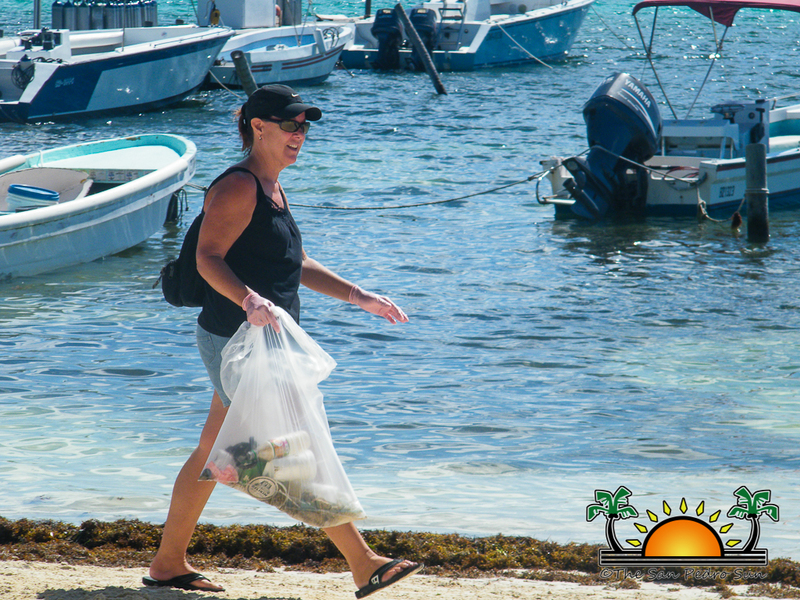 The San Pedro Sun thanks all those who made the International Cleanup Day in San Pedro a success including Oceana in Belize, The San Pedro Leos Club, private citizens, the San Pedro Town Council and Amigos del Mar.